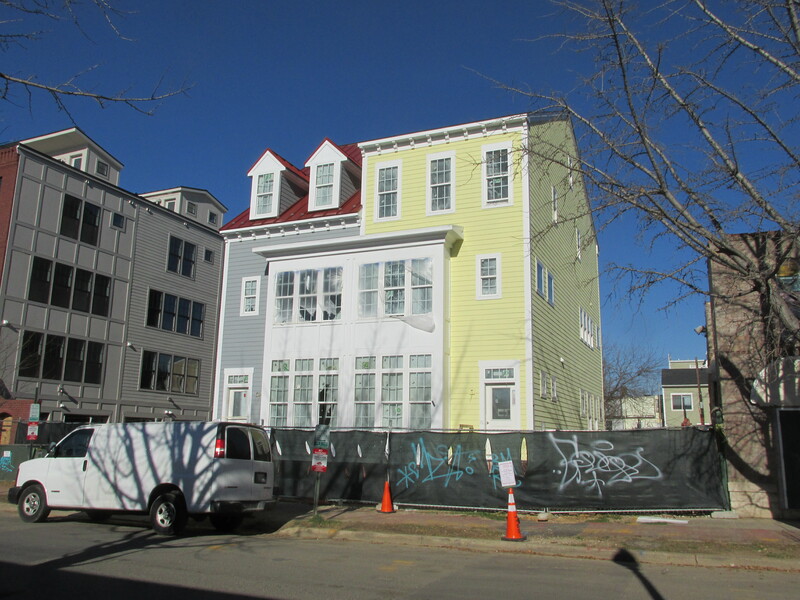 Morton Street Mews Project Nearing Completion | Park View, D.C. 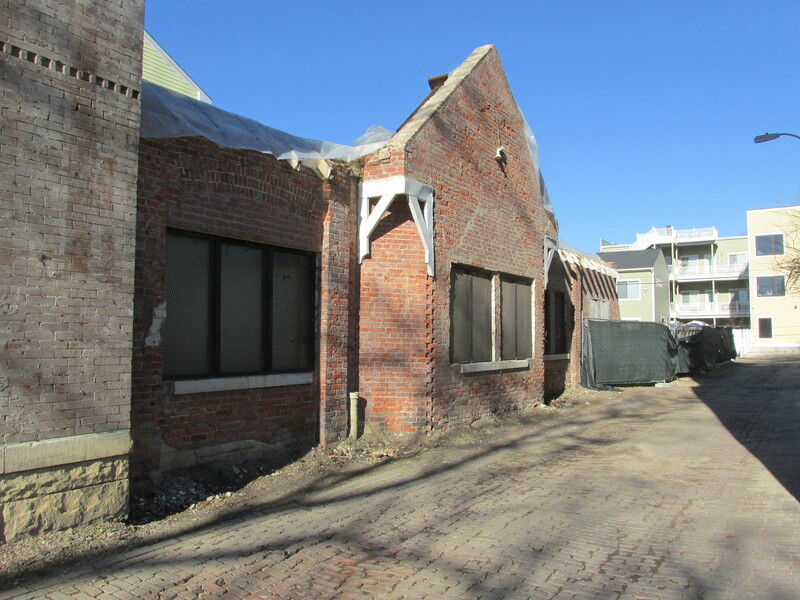 The Morton Street Mews development has entered its final stage of construction with work on the historic Pittman church structure now fully underway. Below are some photos showing that the formstone has been removed and the roof has been removed. The structures on Sherman Avenue are also completed and currently open for prospective families. Below are photos of the completed Sherman Avenue houses and the two nearing completion on Morton Street. 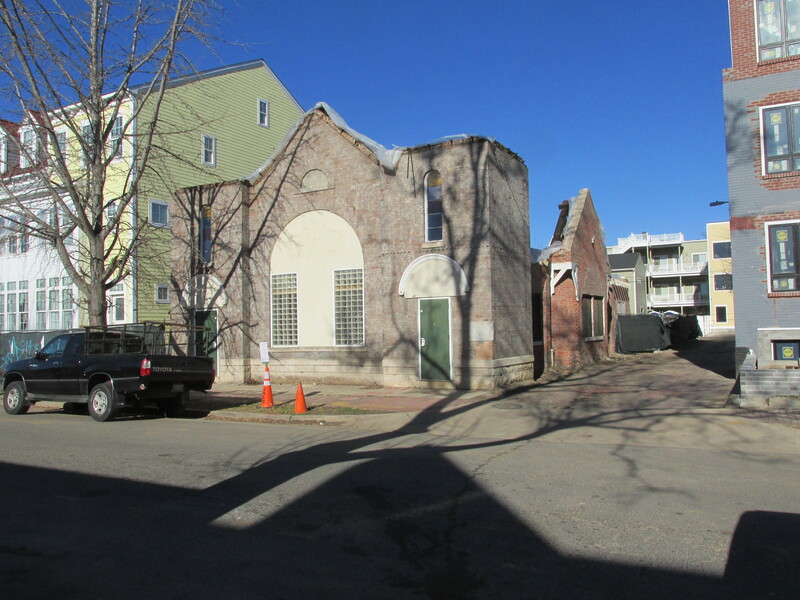 This entry was posted on December 21, 2015 at 7:01 am and is filed under Architecture, Development, History, Housing, Real Estate. You can subscribe via RSS 2.0 feed to this post's comments. The product looks nice, but the prices….I will be amazed if they get the $1.3 mil they’re asking for the townhouses. The prices are insane on all of them and that’s why they’re all sitting on the market. They’re really nice, but the prices all need to come down. They’ve reduced the price on one to $1.1 mil, but it’s still too high especially this time of year. 6 sales from 700k to 950k; two cash buyers. The price of 1.1m was a smaller home. The towns are and will be 1.3-1.4m. 🙂 You’re both invited to see the homes before you make judgements. Our price per square foot is only $500; some of the most affordable new homes in the District. Redfin has your townhomes at $1.3 million for less than 1800 square feet. That’s closer to 800/sq foot and doesn’t include HOA fees. Regardless, if you can get $1.4 million for a property a block and a half from a public housing project, more power to you. The internet is not always the best source for accuracy as you can imagine, most sites that pull from DC records and the MRIS and combine the two; though redfin is useful tool, its far from perfect. Our towns are 2,000 sf that is $675 psf; our upper level 2 brs w garage are 1,900 sf therefore $500 pf and our lower level 2 brs w garage are $625 psf. 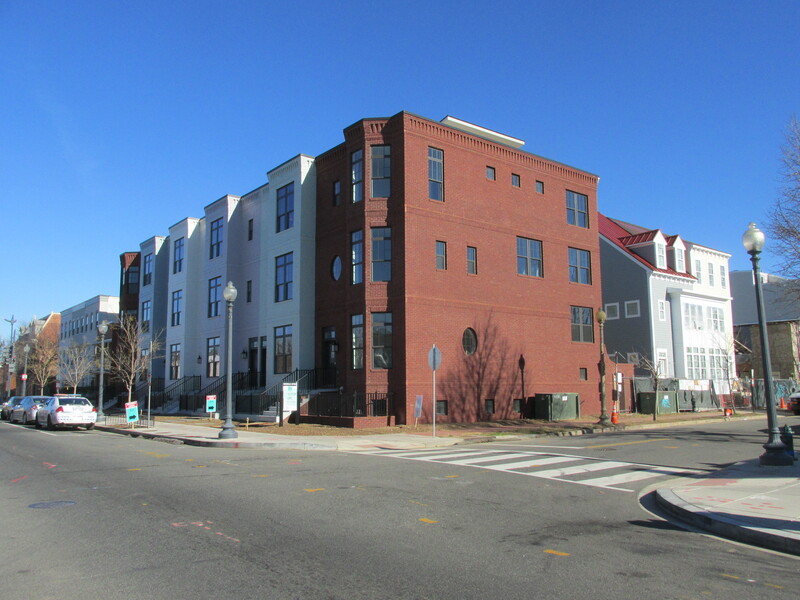 There is housing all throughout Shaw where we sold townhomes last year for $1.65m. Please stop in and see the homes, they are really very nice. Hope to see you soon. So, it looks like a large chunk of the properties are in fact 20% – 33% more expensive on a square foot basis than your original claim. Ok. And sure there’s public housing in Shaw, but Naylor Court isn’t a comparable street/location and isn’t nearly as close to the high rises at 7th & O as these are to Park Morton. Thanks, but I paid $360 per square foot to live on the same street 16 months ago. I realize prices have increased, but living near Park Morton is not pleasant so yes, your prices are…not reasonable. I’m not saying they aren’t nice–they are, but the prices are more appropriate for when PM is gone. Park Morton as it sits in its dilapidated state will be gone. Yes, there will still be public housing units (less total units in that location) with many more market rate units. Houses/Condos were beautifully built. We watched the construction from scratch and can tell you that they were done right with nice details, materials, and even good insulation in between units. This is a complete difference with other new construction or pop up jobs we have seen throughout the neighborhood and sadly most of DC. FYI, I have no affiliation to the project, just appreciate a builder doing a job right and not cutting corners! Additionally, I’m not sure what the implied impact Park Morton is meant to have currently on this project’s value, and especially given Park Morton WILL be razed and redeveloped within five years. Moreover, given the bonafide pipeline projects (e.g. Alsco, The V @ Otis & Georgia) and the projected pipeline projects (the various Zuckerman properties) within two blocks of this site, along with the Whole Foods etc. coming down Sherman, the prices, while still unbelievable to me, don’t seem as outlandish as they did at first blush. I realize I’m boosting my neighborhood here, but there’s reason for optimism in Park View, though I’m not sure that $1M homes and a cleaned up GA Ave needed to arrive hand in hand and that the former is worthy of unfettered optimism. K – I’ve noticed you comment a few times on the shoddy construction work in the area. Any chance you’d be willing to expound on what you’ve seen? My fiance and I are looking at a few places and want to avoid properties for which the construction appeared to be shoddy. Thanks!